Trigger point therapy is an alternative therapy, the benefits of which include a focus on detecting and releasing trigger points. Located in the skeletal muscle, trigger points are spots that produce pain when compressed. In many cases, trigger points form as a result of trauma to the muscle fibers. Typically used to treat pain-related conditions, trigger point therapy is sometimes referred to as myofascial trigger point therapy or neuromuscular therapy. A number of techniques can be used to release trigger points, including massage therapy, chiropractic care, and dry needling. One common form of trigger point therapy is dry needling, a technique that involves inserting a needle (without medication or injection) into trigger points. 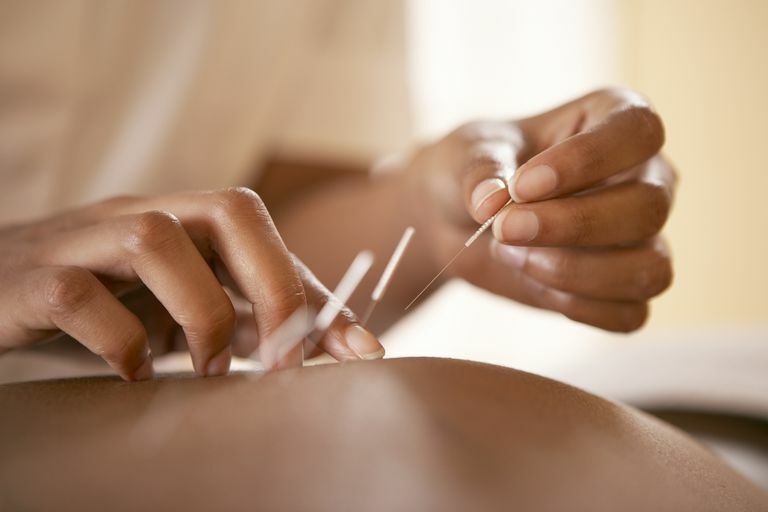 Dry needling should not be confused with acupuncture, a form of traditional Chinese medicine that involves using needles to stimulate points thought to connect with pathways that carry vital energy (or "chi") throughout the body. While there is some overlap between trigger point sites and acupuncture point sites, trigger point therapy is not focused on improving the flow of chi. Furthermore, while acupuncture is used to treat a broad range of health problems, trigger point therapy is primarily used for the treatment of musculoskeletal disorders. When used in conjunction with other therapies, dry needling may be beneficial for people with chronic low back pain. That's the finding of a 2005 research review published in the Cochrane Database of Systematic Reviews. However, since most of the reviewed trials were of poor quality, the review's authors note that more research is needed on the effectiveness of dry needling in the treatment of low back pain. Preliminary research indicates that trigger point therapy may help manage tension headaches, according to a 2012 report from Expert Review of Neurotherapeutics. However, there is currently a lack of clinical trials testing the use of trigger point therapy in the treatment of tension headaches. For the study, 36 people with Parkinson's disease either received trigger point therapy or underwent a music-based relaxation therapy twice a week for four weeks. By the study's end, members of the trigger point therapy group showed greater improvement in motor function. While both groups showed modest improvement in the quality of life, only members of the music relaxation group had improvements in mood and anxiety. If you're interested in undergoing trigger point therapy, consult your physician for help in finding a qualified practitioner. Due to the limited research, it's too soon to recommend trigger point therapy as a treatment for any condition. It's also important to note that self-treating a condition and avoiding or delaying standard care may have serious consequences. If you're considering using trigger point therapy for any health purpose, make sure to consult your physician first. David J. Alvarez, D.O., and Pamela G. Rockwell, D.O. "Trigger Points: Diagnosis and Management." Am Fam Physician. 2002 Feb 15;65(4):653-661. Alonso-Blanco C, de-la-Llave-Rincón AI, Fernández-de-las-Peñas C. "Muscle trigger point therapy in tension-type headache." Expert Rev Neurother. 2012 Mar;12(3):315-22. Craig LH, Svircev A, Haber M, Juncos JL. "Controlled pilot study of the effects of neuromuscular therapy in patients with Parkinson's disease." Mov Disord. 2006 Dec;21(12):2127-33. Furlan AD, van Tulder MW, Cherkin DC, Tsukayama H, Lao L, Koes BW, Berman BM. "Acupuncture and dry-needling for low back pain." Cochrane Database Syst Rev. 2005 Jan 25;(1):CD001351. Renan-Ordine R, Alburquerque-Sendín F, de Souza DP, Cleland JA, Fernández-de-Las-Peñas C. "Effectiveness of myofascial trigger point manual therapy combined with a self-stretching protocol for the management of plantar heel pain: a randomized controlled trial." J Orthop Sports Phys Ther. 2011 Feb;41(2):43-50. Tough EA, White AR, Cummings TM, Richards SH, Campbell JL. "Acupuncture and dry needling in the management of myofascial trigger point pain: a systematic review and meta-analysis of randomised controlled trials." Eur J Pain. 2009 Jan;13(1):3-10. Can Sea Cucumber Soothe Arthritis Pain?